Kame and Yamapi competes in a series of silly games, goes karaoke, and gives tribute to “Shuji to Akira” in their newest music video for “Senaka goshi no Chance”. Who wins? Check out their PV below. Have you checked out their latest single? “Kame to Yamapi” released their newest single last May 17. Included in the single is the song “Gyakuten Revolution”, the ‘answer song’ to “Seishun Amigo”. 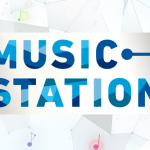 They will be performing the song in a special medley for Music Station on May 26.